This beautiful intricately vintage rose pattern mirror stand is just what you have been looking for. 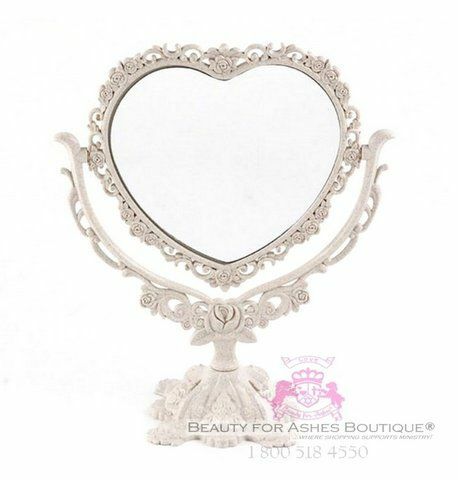 Affordable, lightweight and easy to assemble, it features a heart shape mirror and acylic stand that screws into place by hand. Perfect for your little girl or woman of significance who adores the finer things with a touch of whimsy.